International students often underestimate the amount of time required to research an academic institution that suits them in terms of course program, costs, lifestyle preferences, etc. Then, they must gain acceptance at that school or university and then, there is the Student Visa Application process which can extend everything by weeks – or even months! When setting your timetable, always remember that starting the process early is the best way forward. The most important thing to know about the process is that, under U.S. law, people who apply for nonimmigrant visas, including the types of student visas, are viewed as “intending immigrants” and therefore, the onus is on you to convince you interviewing officer and the consular authorities that you fully intend to return to your home country at the conclusion of your study period. You will be asked to show that you have strong ties to your home country – a job, a family, you own a home, your career plans and goals are attainable here rather than in the USA, etc. Have your facts and narrative straight on these points. Interviews are conducted in English, so even if your English is very basic, take a look at the kinds of questions you will be asked and practice your answers. Perhaps find a native speaker who can check if you are understandable. You don’t have to prepare a speech, but be confident enough to show you understand the questions and can answer them, however simply. If you are studying English in the USA, tell the interviewing officer how this relates to your career goals and employment prospects when you return home. The officer is interviewing many potential visa holders each day, so remember to keep your answers short and to the point. Have the correct supporting documents in order and easily accessible to show the consular officer. Bring along other documentation you may be required to present, such as anything which proves you have the financial means to support your studies and life in the USA. Your purpose in coming to the United States is to study, rather than to find employment and you must be absolutely clear about your intention to return home after your study period. As the previous pointers to understanding the student visa process in the USA have illustrated, international students interested in studying inside the US have to do provide a lot in terms of documentation and interviewing performance to convince the US government to grant you an F-1 student visa in order to pursue your studies. 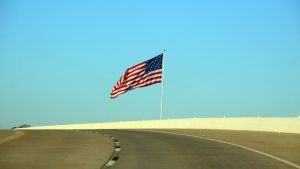 After the F-1 Visa application process, international students must then prepare for the visa interview in English – an intimidating prospect for those for whom English is a second language. Not only will the student need to have all the required documentation, but they must also be able to answer clearly and convincingly all the very specific and personal questions about their intentions to study in the US and not to remain there after their studies. Do you have family in the United States? Do you have family in your home country? How will your studies advance your career in your home country? Why are you going to the US? Who is your current employer? What do you do? Why are you planning to continue your education? How will you manage the cultural and educational differences in the US? Why do you want to pursue your education in the US? Why not study in Canada, Australia or the UK? What do you know about US schools? There are some countries which are suffering from wars, political unrest or economic stability. Students from these nations will have more difficulty getting a visa. Many U.S. consulates in other countries have YouTube videos which explain the visa process at their specific posts. It’s useful to check if U.S. embassy or consulate you are visiting has a YouTube video. Once you have your Form 1-20, you can apply at the US Embassy or Consulate in the city closest to you for a Student Visa. Because it might take some time to receive an interview appointment with a US consular official, we suggest you contact your US Embassy immediately you receive your 1-20. Also, the time to receive a visa varies by country. To get an idea of how long the wait time is for both parts of the visa application process, contact your local embassy. Check the U.S. State Department’s Visa Appointment and Processing Wait Times webpage. This will give you a good idea of average visa appointment and processing wait times at the consulate where you will be applying for your visa. Read more about this the student visa application process at 10 Points to Remember When Applying for a Student Visa which is posted on the NAFSA website. NAFSA is an organization that promotes international education and exchange and that works in conjunction with USCIS, SEVP, Department of State and schools to help decipher all of the really fun and complicated regulations that visa holders are faced with. 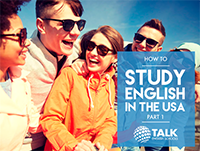 Download our e-Guide How To Study English in The USA and learn more about the visa process to study abroad.